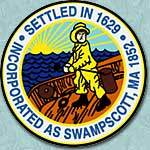 The Swampscott Assessors' Office is located at 22 Monument Ave., Swampscott, MA 01907. The Assessors' telephone number is 781-596-8858. The office hours are 8:00 AM to 4:30 PM, Monday through Thursday, and 8:00 AM to 12:00 PM on Friday.